The current revival of The Heiress opens tonight, exactly 65 years to the day when it first premiered on Broadway. I have been anticipating to see this play since it was first announced and was lucky to have been able to see it with my friends on the eve of Oct. 13. The Heiress is based on the Henry James novel Washington Square and was adapted into a play by Ruth and Augustus Goetz. The play centers on Catherine Sloper, the plain, timid and very sheltered daughter of Dr. Austin Sloper of Washington Square. She finds herself at odds between the demands of an emotionally distant father and the sudden attention of her young suitor, Morris Townsend. Catherine is smitten but her father believes that the young man is only after her fortune. She then learns to navigate between love, duty, dissappointment and self-discovery. I have to say that my anticipation for this play was met with great satisfaction. I commend the creatives of the play, director Moises Kaufman, set designer Derek Mclane, costume designer Albert Wolsky and lighting designer David Lander for this beautiful and lush production. As soon as the curtain went up for the opening scene, the sight of the maid lighting the chandelier in the Sloper's living room is breathtaking and transported me to 1850's NYC. It was such a strong and memorable image which set the stage for the whole evening. As if I was a fly on the wall.....drawn to the drama of the Sloper household. Academy Award nominee Jessica Chastain plays Catherine and she is brilliant in this role. Wearing a dreadful wig and prosthetic nose, she is unrecognizable when she first comes out and manages to disappear into her character. Her Catherine is not only timid and shy but socially awkward as well, so that when she finally evolves and choses her own path at the end of the play, it is more potent. Her performance is nuanced and subtle. There is a specific scene where her father tears her down. It was a very chilling moment and I recall that there was complete silence but you could hear audible gasps from the audience as hurtful words were sent her way. Completely riveted, I couldn't take my eyes off of Ms. Chastain. At that moment, something clicked within her as sudden realization of how her father sees her begins to sink in. 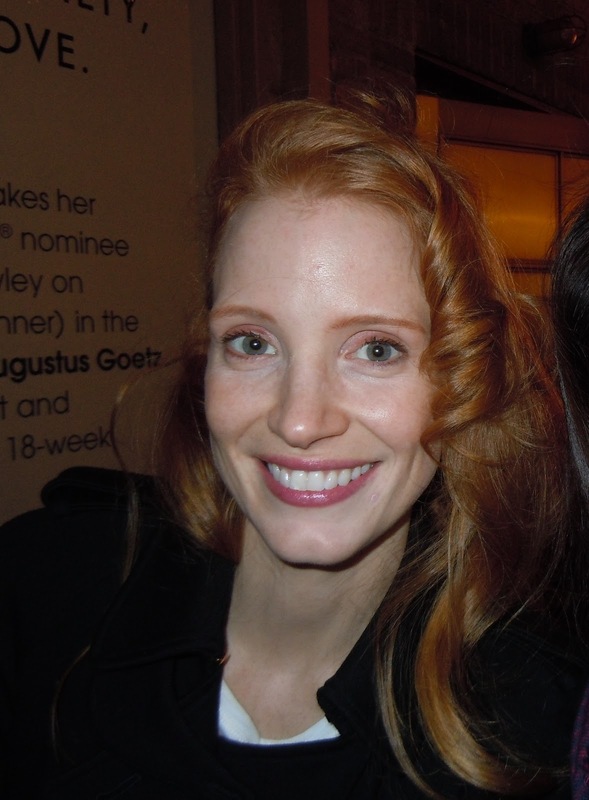 It is so devastating and can all be seen in Ms. Chastain's eyes and facial expression (yes even from the mezzanine where I sat).....as if her soul had died and she was never going to be the same again. It's such an affecting scene that until now as I am writing this post, I can still see and feel her emptiness. What a great actress. 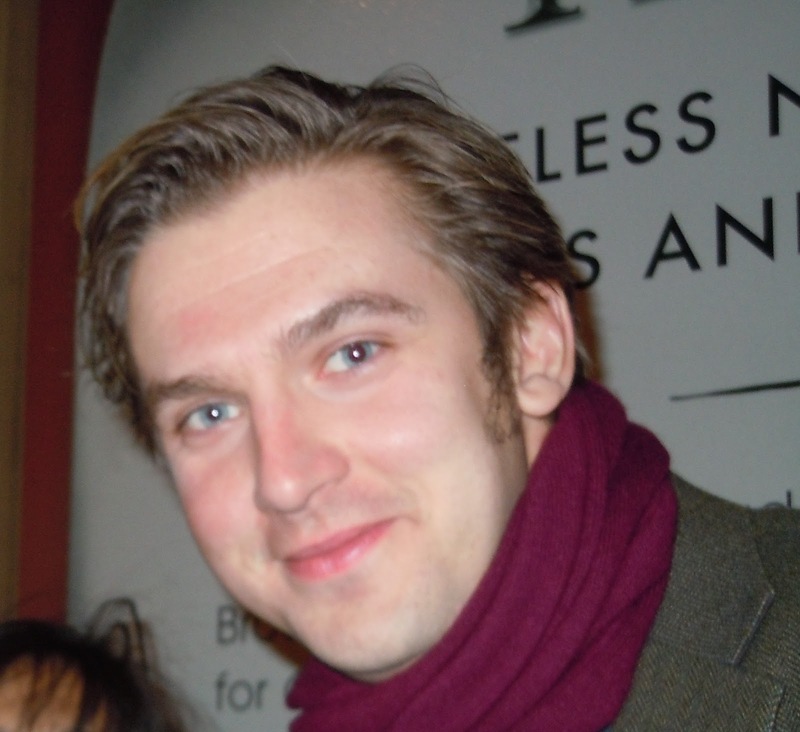 Downton Abbey's Dan Stevens plays Morris Townsend with an impeccable American accent! 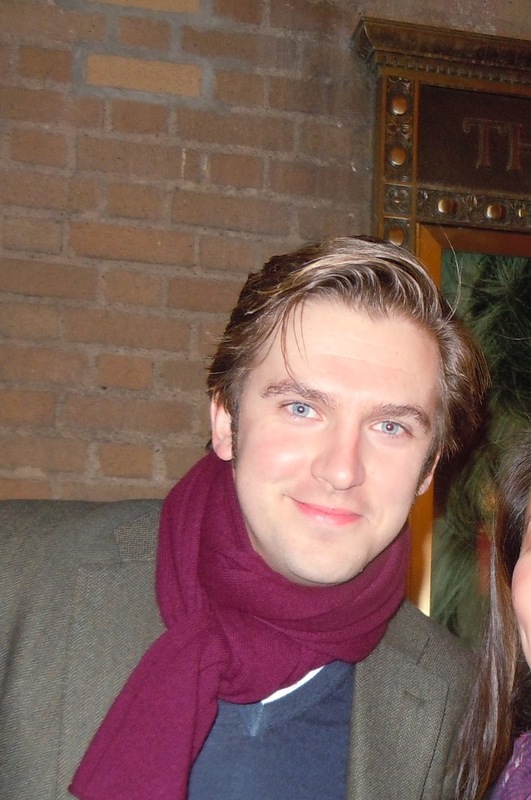 Like Matthew Crawley in Downton, Dan Stevens is easily likeable and very charming in this role. He plays Morris very effectively that I found myself vacillating throughout the play whether his intentions were really sincere or whether he was just after Catherine's fortune. David Strathairn is chilling as an emotionally distant father. Judith Ivey who plays Catherine's aunt Lavinia is very enjoyable. She has managed to find all the laughs in this play and lightens up the play's heavy plot. I've always loved the plot of this play and have wanted to see the transformation of Catherine. At first she defines herself according to her father's expectations then moves onto how Morris sees her then finally to her resolution of defining her life based on her own terms. It's an empowering choice and definitely very relevant to our times. The Heiress is on a limited run for 18 weeks ending in Feb 2013. Make sure you catch this superb production. 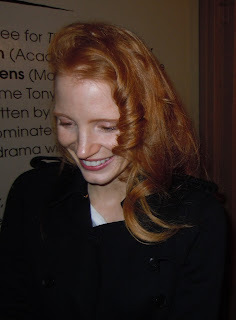 She is one of the nicest actors I've met at the stagedoor.